Accessories for your Car or Truck. We use a few Local Manufacturers along with bringing items in from other suppliers in the United States, trying to keep the quality up, along with supporting the National and Local economy. Shop & Buy Online! Use our online catalog for all your automotive Accessories. 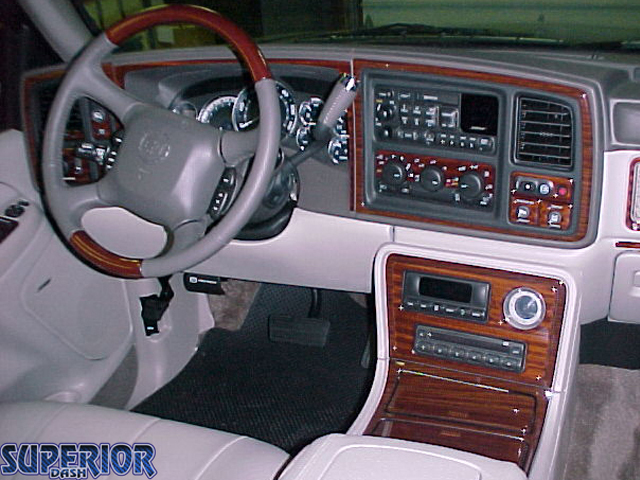 These are just a few examples of Chrome Trim that Beaver Stripes offers. 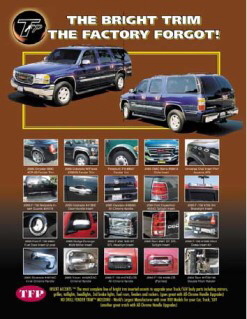 You can find Door Handles, Mirror Caps, Pillar Posts, Belt Line Trim, Fender Trim, Fuel Door Covers, Fender Vents and much more. 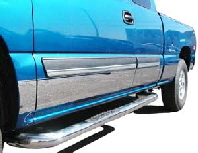 Our biggest requests have been for Stainless Steel Trim for both Cars and Trucks. This would include Rocker Panels, Wheel Opening Moldings, Pillar post trim and almost anything you would want covered in stainless steel. Keep in mind, though, if you are repairing a vehicle, there are (were) many companies out there that have come and gone, so there are also as many different sizes and shapes to match up. The best solution to this is to save the damaged piece, no matter how damaged, and have the item duplicated (with out the damage). We also suggest that you replace the entire set, it will most likely be just as cost effective as replacing just one piece. As for new items, that is no problem! Even if it is a new model or year (style change) it can be created It may take an extra day or so, but it can be done! Most of the pieces can also be finished in a Brushed Finish, for that Sofisticated European Look. Our Stainless Steel Nerf Bars are made from high quality polished 3", 4" & 5" 304 Stainless Steel to protect against rusting, chipping and/or peeling. Designed to fit Regular Cab, Extended Cab, Crew Cab, Wheel-to-Wheel trucks and most SUV's. Black Powder Coated Nerf Bars are made from high quality carbon steel and are available in multiple applications designed to fit Regular Cab, Extended Cab, Crew Cab, Wheel-to-Wheel trucks and most SUV's. Manufactured Locally by ICI, (Innovative Creations Inc). New Vendor! Wheel Skins and More Chrome Accessories. Beaver is partnering up with Coast to Coast International, a major supplier of Wheels, Center Caps and more Chrome Accessories for your vehicle. Classic Chrome Rings, Hub Caps and Center Caps for wheels. Chrome wheel Skins for Styled Steel wheels, Factory style and Aftermarket Wheel Covers. Replacement Wheels, Alloy and Steel. Chrome Grill Overlays and Inserts, additional Chrome Trim Accessories for other vehicles not already covered. Another option for Fender Trim, giving you 3-4 sizes and styles to choose from. 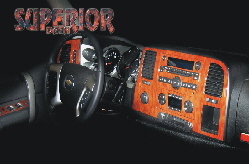 Dually Simulators, Stainless and ABS Chrome. Many sizes to choose from. OE Style Wheel Covers, along with many stylish After market sets. Grille Inserts and Overlays. No Drilling or Cutting required, snap in or tape on. Add a special look to your vehicle. 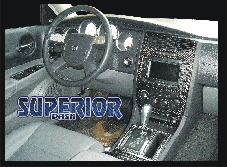 We offer Special Order Dash Kits. We do not stock these items, but it takes less than a week to get them in (in most cases). For a complete listing please visit Superiordash. We can also professionally install these for you!